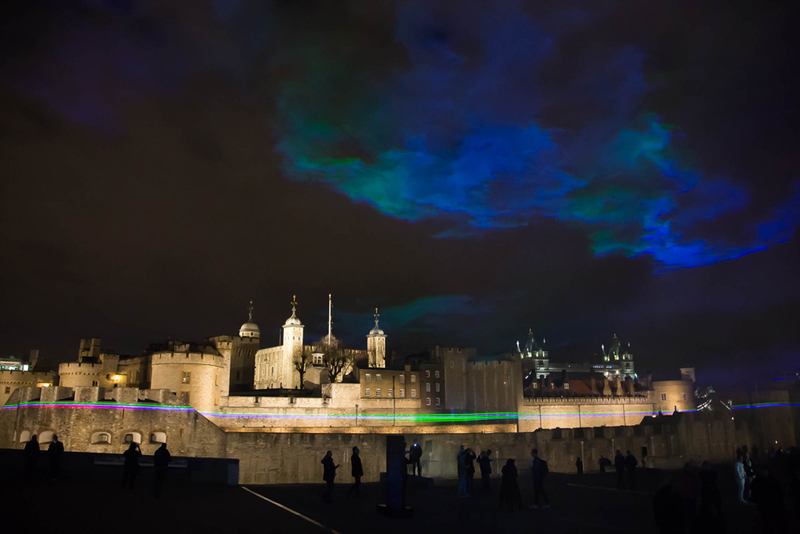 Huawei is wowing the photography and gadget review sites at the moment with their P30 smartphone series, particularly with how easy it is to take photos in dark environments and to demonstrate its low light ability, Huawei hosted a laser light show, created by Dan Archer, that simulated the northern light effect in the main square next to the Tower of London. With the help of smoke machines, they created coloured clouds drifting over both invited guests and the general public in ethereal patterns reminiscent of the Northern Lights. Stuart Fawcett was there for ePHOTOzine, on a rather breezy, rainy press launch day where along with performing bartenders and celebrity guests, it was a night designed to show how proud Huawei ais of their new smartphone range. The P30's Pro camera mode was easily accessible and very full featured plus, Huawei says that the triple camera design coupled with the in-camera AI really helps deliver the picture you want, even when working in dark conditions. When using the super wide angle shot, barrel distortion is already removed and the smartphone is also very good at capturing macro images. For more details on the new smartphone, take a look at ePHOTOzine's review of the Huawei P30 Pro and to see more images captured with the Huawei P30 smartphone, just have a search for the hashtag #HuaweiLondonLights. The P30 smartphone range is being released in the next few days, with prices starting at £899. Words and pictures by Stuart Fawcett (JackAllTog).